With the current state of the economy, IT executives are being asked to stretch their budgets in order to keep their businesses profitable. In 2008, Median IT spending per user fell to $6,667 from the previous year's $7,397, according to Computer Economics. This represents a 6.2% reduction, consistent with the fact that IT managers were supporting an increasing number of users without corresponding increases in IT spending. 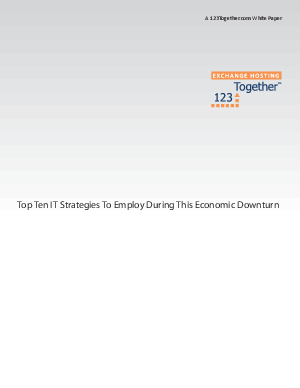 IT spend continued to decline in 2009 and uncertainty and caution is still prevalent in 2010. So how can you do more with less in IT? In this time of economic uncertainty, what strategies should you employ? This white paper will review each of these in greater detail.